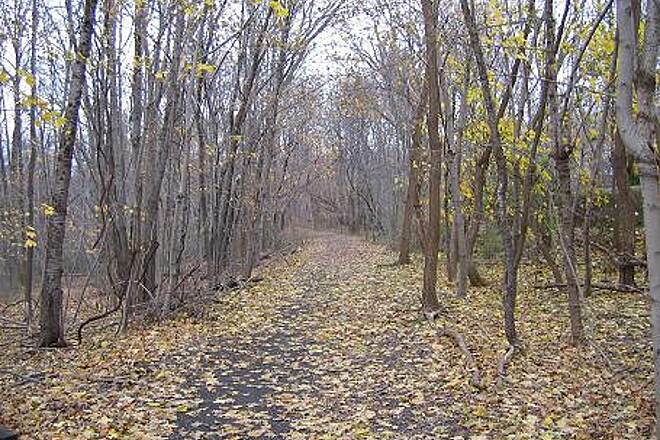 The West Essex Trail follows a short distance (just under 3 miles) of the former rail bed of the Caldwell Branch on the old Erie-Lackawanna Railroad. 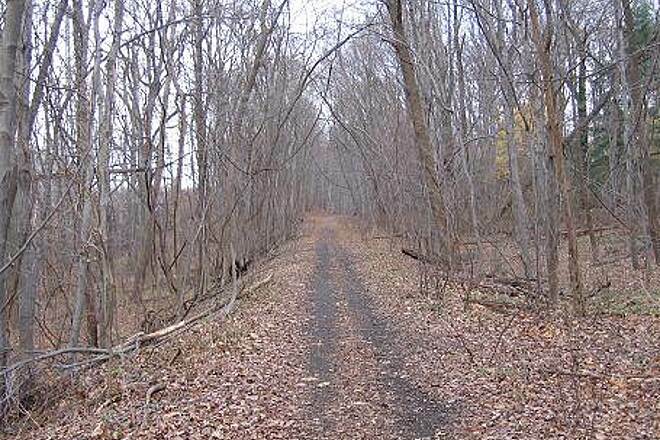 The trail runs between the EssexPassiac county line in Little Falls and Arnold Way in Verona. 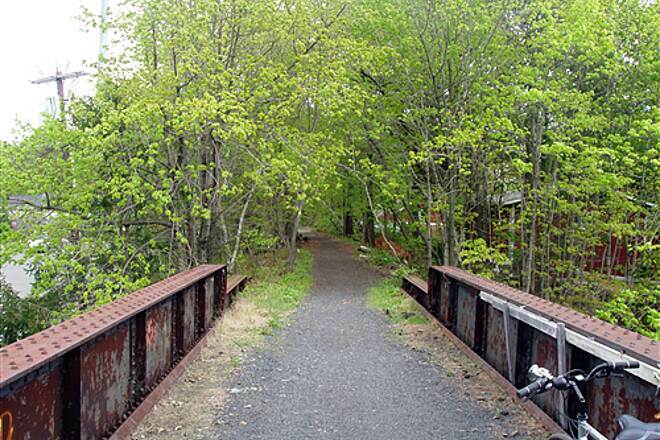 The trail crosses a trestle over the Peckman River and also passes by a shuttered psychiatric hospital, which housed patients in the late 19th to early 20th century. The property is now a conservation easement. 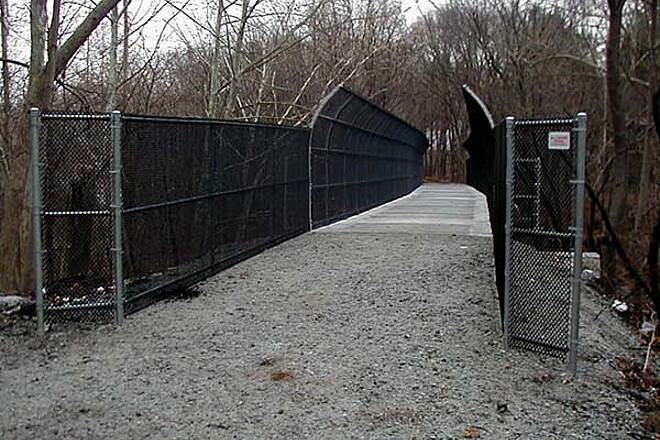 The best access to the West Essex Trail is from near Verona High School, 151 Fairview Avenue. Take Route 280 to Exit 7/Pleasant Valley Way and turn right. Turn left onto Bloomfield Avenue then right onto Fairview Avenue. The Trail crosses Fairview at Verona High School. 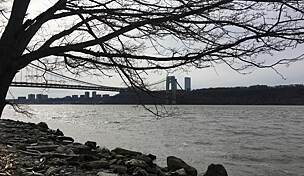 From New York, take the George Washington Bridge or Lincoln Tunnel to the New Jersey Turnpike South. Take Exit 15W for Route 280 West and proceed with the above directions. The storms in NJ on August 16th caused severed damage to the trail. The pathway has precarious ditches now and much of the path is no longer ride-able via bike. I truly hope they fix it soon as it really is a great trail. My family used to ride this trail on our bikes every weekend. It was really great. We'd take a packed lunch and eat by the Little Falls, then ride all the way out to the train track. Now parts of the trail are so washed out, so rocky - particularly between Durrell and Keeney Street - that it's a pounding ride unless you have a true dirt bike. Love walking this trail - it's an easy walk from one end to the other and back but combine it with Lene Lenapi trail at either end to add distance and difficulty. It's in a populated area but set back enough that you don't feel like you're "in the city"
Warning as of 6/13/17: There's a large tree down across the trail just after the Pompton Ave bridge on the western side. It's possible to climb over the trunk but bikers might have a little trouble. Use caution until it's cleared. 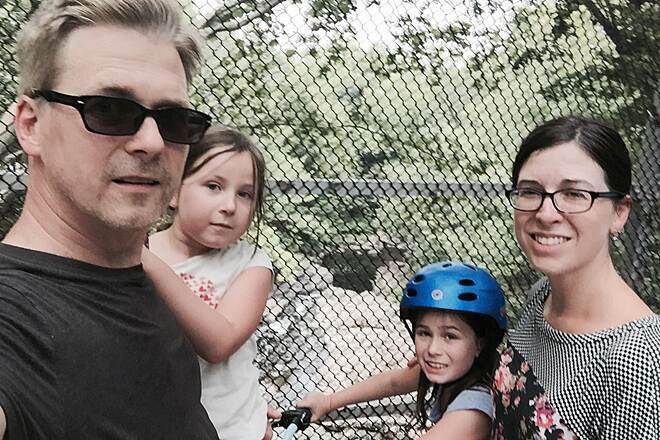 I rode the trail for the first time on a beautiful weekday summer afternoon and was very pleasantly surprised by the quiet and beauty of the trail. Almost the whole route is under trees so it's a nice shady ride. There are only four street crossings, and none of them are too busy. I saw about 6 other bikers, some joggers, and a few dog walkers. For much of the ride I felt like I had the trail to myself. The guide implies the best start point is Fairview Rd in Verona. I live closer to Little Falls and I'm glad I started there. I like to deal with hills, etc early in my rides and coast back at the end. I started at Francisco Ave where there are a couple of quiet side streets to park on nearby. 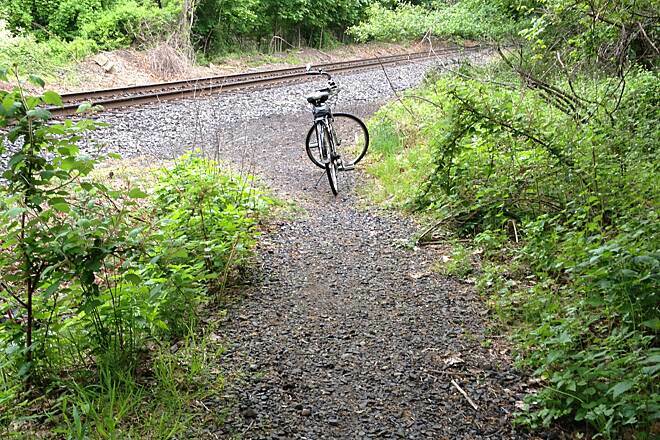 I then rode the short portion to the terminus by the very active NJ Transit tracks. After that, I retraced that portion and rode the rest of the trail and back. 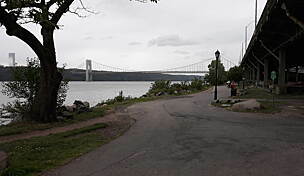 The most challenging point in the ride is by Keeney St in Cedar Grove, where there is a short steep gravelly section that I dismounted for both ways. The trail surface varies and you have to be alert for tree roots and loose gravel, but it's a good ride. The most beautiful point is where it crosses Peckman River where you can see Devil's Hole falls. It is not easy to get down to the falls from the trail so I contented myself with views from above on the bridge and trail. The West Essex Trail isn't the longest or prettiest rail trail in NJ, but for me, it's wonderful to find such a nice little trail just 15 minutes from my house. I'll be using it regularly. This was an awesome trail with a nice long mostly straight shady run. Even on a super hot day, I was guarded against the sun by enormous trees. Walked this morning, half the trail. Very narrow and shaded. Pedestrians and bikers share the trail so please be aware. I would like to see some sidewalks installed in the little falls portion to make access easier. My wife and I just rode roundtrip through this trail, and found it quite cool and relaxing during a 100 degree day. Be careful of some rough patches in the trail, and we parked on Fairview Avenue near Verona HS... no problem. Almost entire ride was away from traffic and roads. 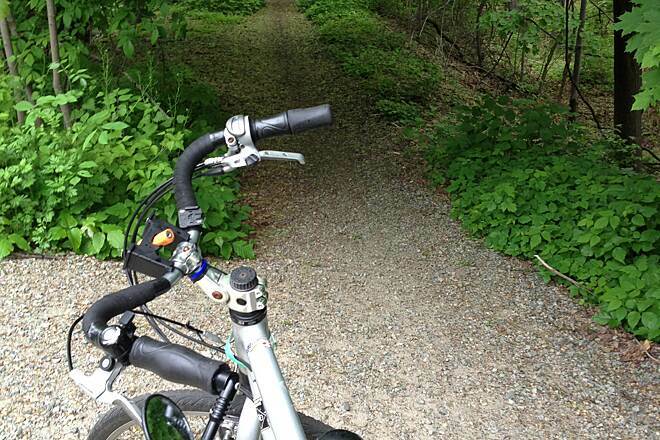 The West Essex trail is now in great shape for biking, just watch out for a few fallen trees that are only about 6 feet over the trail, may have to duck if your tall. To add a challenging piece to it, turn on right on Francisco Ave up to Ridge Rd, make another right, then trailhead is on left near Reservoir. It has a couple of miles of single track, lots of rocky hills, stream crossings, ramps. Quite challenging! You can then return to the rail trail at Bowden Rd. See my map link below. Makes for about an 8 mile loop, if you start at Verona HS. The West Essex trail is one of the nicest trails in this area. So well maintained that walking on it is very relaxing year round. Its also quite shady and that makes it cool, even in the summer. The area still has a long way to go to become hiker friendly like many other towns are. I would like to see some of the side trails expanded. There would be another nice potential trail along the Peckman Brook from Verona to the Passaic, since both Verona and Cedar Grove have their parks and Little Falls is developing one in the Wigmore Road area, but unfortunately an area south of the railroad tracks near the northeast end of Cedar Grove has been used as a composting area so the entire area is very smelly and often, noisy. 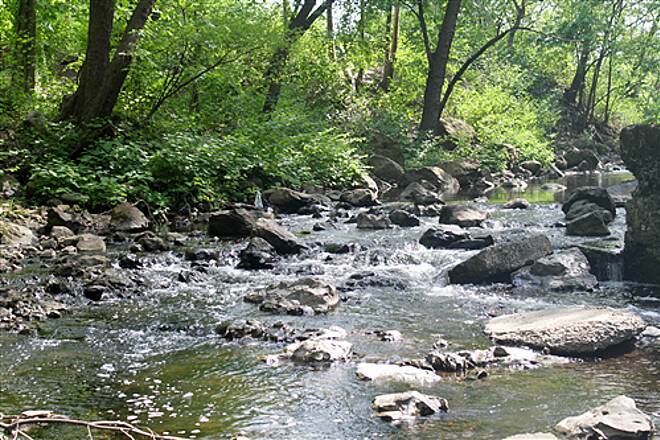 If that problem could be addressed, it might be possible to develop a gorgeous trail along the stream and eventually perhaps make a big circle out of the two routes. The area just north of the active railroad trestle used to be a natural wetland that was home to all sorts of wildlife, and its been restored somewhat, but all that work seems to have gone to waste because of the rancid smells from the compost activities. As a kid who used to play along these tracks years ago, I was looking forward to riding this trail. I had not set foot in this area in about 30 years. The trail was considerably washed out in the area from Verona High School to the Essex County Hospital Center. It was better continuing along to the Little Falls end. I don't know if it was a mess because of the recent damaging rains or lack of maintenance. 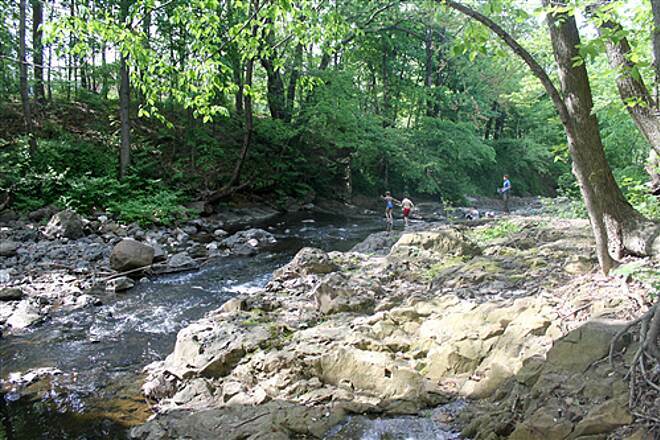 This would be a great suburban trail with a little grading and smoothing from the county.
" The West Essex Trail (aka- Caldwell Bikeway and currently part of the Lenape Trail) is now about 3 1/2 miles long. It extends from the active Boonton Line tracks (just north of Francisco Ave in Little Falls) to the end of Arnold Way in Verona. The trail actually had continued another 1/3 mile to Bloomfield Ave, but recently a house was built across the ROW just beyond Arnold Way. 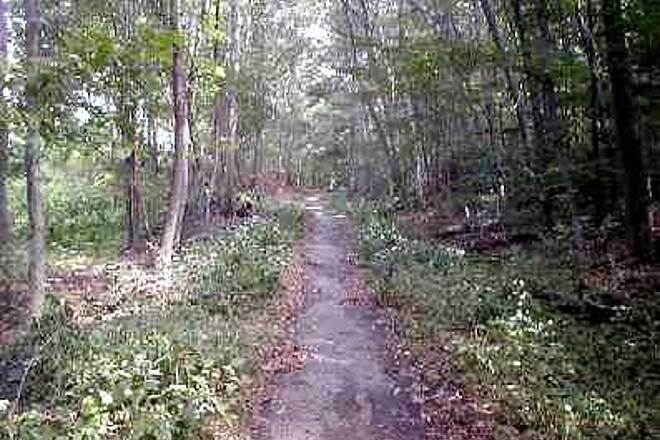 An old section between Bloomfield Ave and Caldwell College is still there, but overgrown, since it is cut off from the main trail. The best parking is in the Cedar Grove Municipal Park. The trail is quite heavily used by walkers, joggers and bikers. 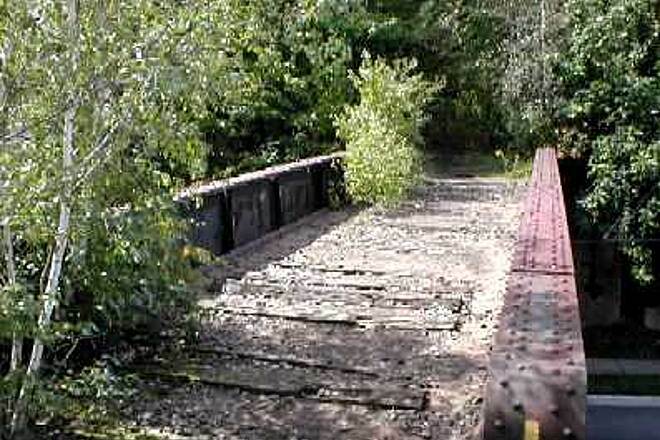 A trestle over the Peckman River, currently closed, is scheduled for renovation soon. From the Peckman River, the grade is gently up in either direction. The surface is generally foot and bike friendly, with a few eroded spots, and some ties in place on the bridge over Pompton Ave. Since the trail is less than 2 miles from my house, I frequently hike there when I am pressed for time, or the weather is threatening. 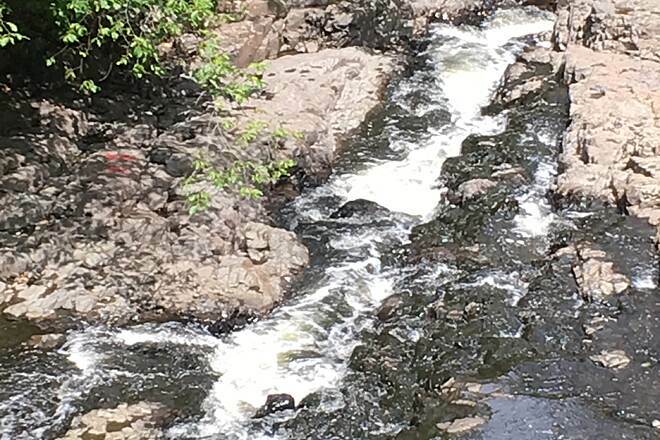 The ""gorge"" at the Peckman River can be quite impressive after a rain, and a high fill north of the Cedar Grove Park is a noteworthy attraction. Dog walkers are quite frequent on this trail. 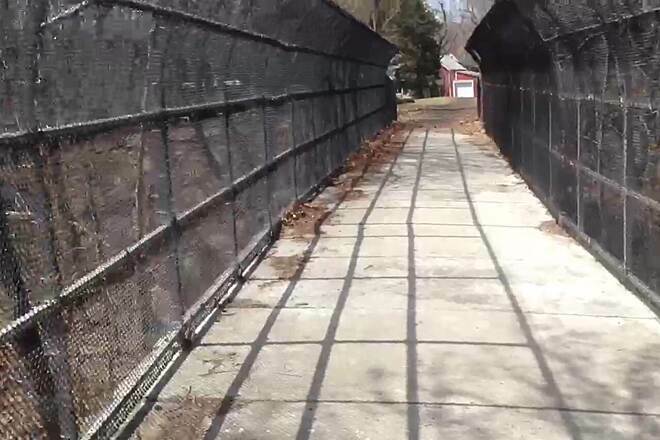 Many of the yards abutting the trail are home to dogs, but all are fenced off from the trail. 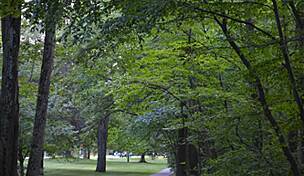 The trail is generally well shaded, making it a pleasant walk in the hot summer. It is suitable for snowshoeing and cross-country skiing, if we ever get snow! All-in-all, this is a nice walk in a suburban area. 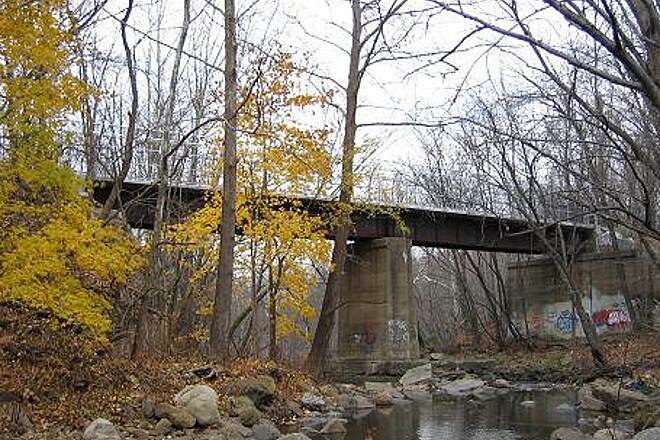 Cedar Grove Township has allocated the necessary funds to rehabilitate the now closed bridge over Peckmann Falls. Soon you won't have to take the detour through Community Park. 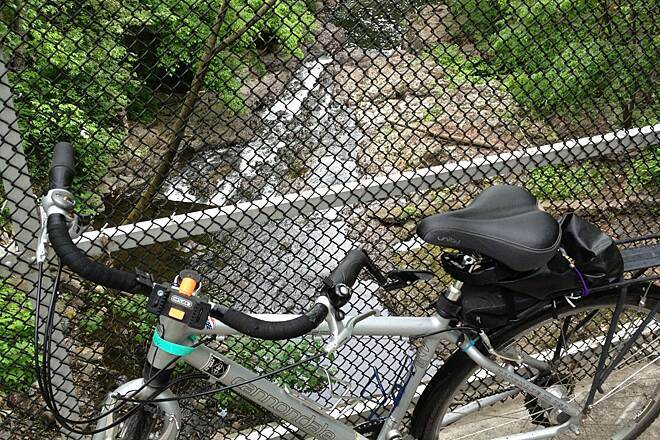 A great trail for off-road biking far from the crowded paved trails in Essex County. Be prepared for numerous stree crossings and a detour around a bridge in disrepair. 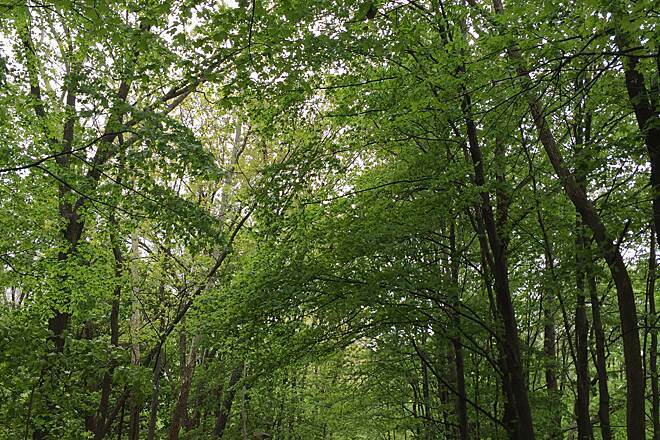 Very wooded areas close to the back yards of expensive homes. Trail neighbors are relatively unfriendly. Be careful that you park in a legal space if you use neighborhood side streets. Local residents don't like strangers in their neighborhoods. Have area map handy to find connecting trails. Some run under electric company right-of-ways. 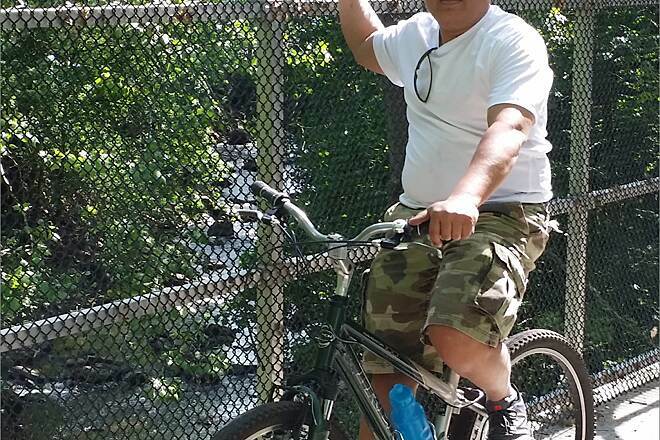 "West Essex Trail/Caldwell Branch, Erie R"
"I am a pastor of a Catholic parish in The Bronx. I love the inner city. 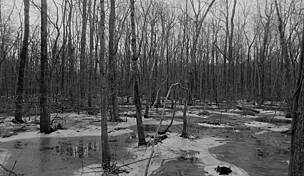 I had grown up in Cedar Grove, New Jersey in the 1960's-70's. I have fond recollections of the Erie Lackawanna Commuter trains (last commuter run was in October 1966). The last freight run was in the Summer of 1975, and the tracks were removed in July 1979. Having always been interested in railroads, I was so saddened to see the demise of the Caldwell Branch. It was a very quaint line! I particularly rememeber the old ""banjo-style"" cross buck at the Fairview Avenue grade crossing in Verona, which was in service until the late 1960's (and then replaced by a more modern crossbuck, with flashing lights). I visit my widowed mother every Thursday and one of my weekly highlights is to walk the entire length of the West Essex Trail. It is a welcomed rest from the hustle and bustle of the inner city. 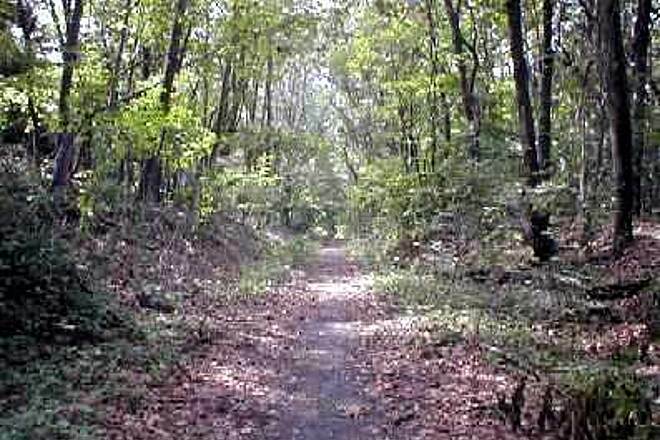 So many right of ways have been paved over, but what is so charming about the West Essex Trail, is the existence of the cinders and gravel, as well as milepost markers and whistle posts, situated 1000 feet from the grade crossings. Hikers can still find old spikes (which make great paperweights). The West Essex Trail is my little escape. It is a woderful place to get one's thoughts together and even to pray. I have walked it countless times and I never tire of it. I hope that someday, the steel railroad bridge over the Peckman River will be improved, so that this linear park will run continuously from Little Falls, NJ to Arnold Way, Verona. Got to run now to open up the church. I have Christmas Mass in one hour! 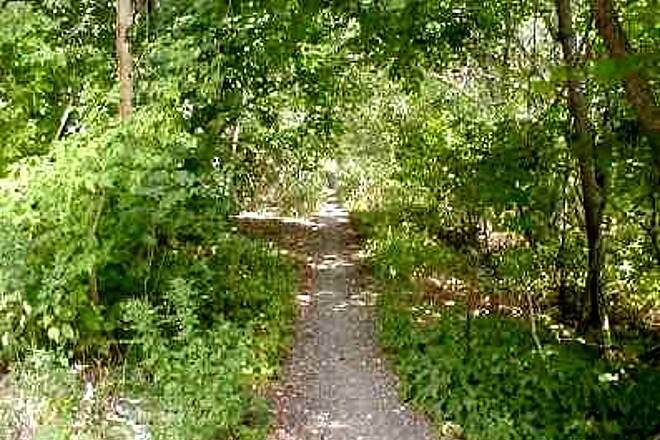 The Essex County Linear Park, the 1890 Trail and the West Essex Bikeway all occupy the same space. One path, three names. 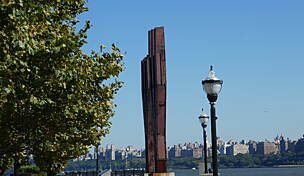 The Lenape Trail starts in a different place, but eventually joins the other three. One path, four names. All these trails, which follow Erie Lackawana railroad bed, are interrupted at the Peckman River where fences block a railroad trestle considered too dangerous to cross. 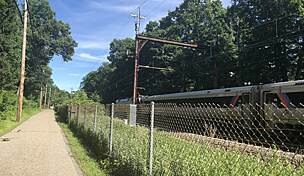 The Cedar Grove Open Space Trust Fund Committee recently applied for a $125,000 state grant to repair the railroad trestle behind Community Park at Devil's Hole. If the grant is approved and the bridge made safe to cross, most of these trails would be complete from beginning to end. 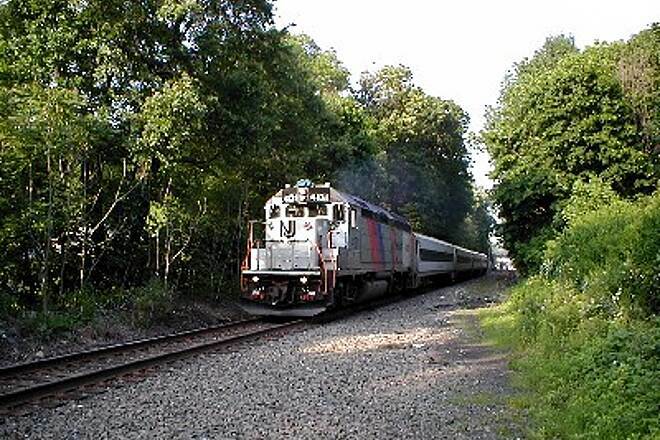 The linear park follows the railroad bed for about three miles from the Little Falls border through Cedar Grove to Arnold Way in Verona. The county bought the park in 1985; about 10 years after the last train came through. 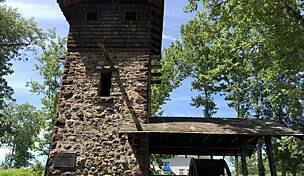 The Lenape Trail begins in downtown Newark and rambles for about 30 miles in Essex County until it ends in Millburn. The trail is not complete, but sections run through county and municipal parks, PSE&G right of ways, municipal reservoir property, private land and sidewalks. Cedar Grove Environmental Commission member Charles Wilson helps maintain the Lenape Trail. 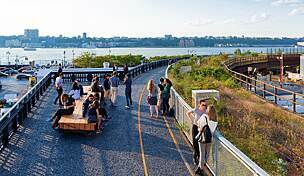 ""A connected network of trails encourages healthful recreation,"" he said in a phone interview earlier this week. He added that well maintained trails could reduce the need to drive to get to the center of town. The trail is marked with yellow blazes, and should be fairly easy to find and follow. Two blazes indicate a turn; the top blaze gives the direction. Three blazes indicate the beginning or end of a trail. 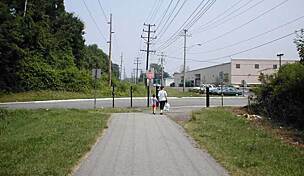 Locally, The Lenape Trail- named after the Leni Lenape Indians who lived in this part of the country can be entered at Durrell St. or Fairview Ave. in Verona. 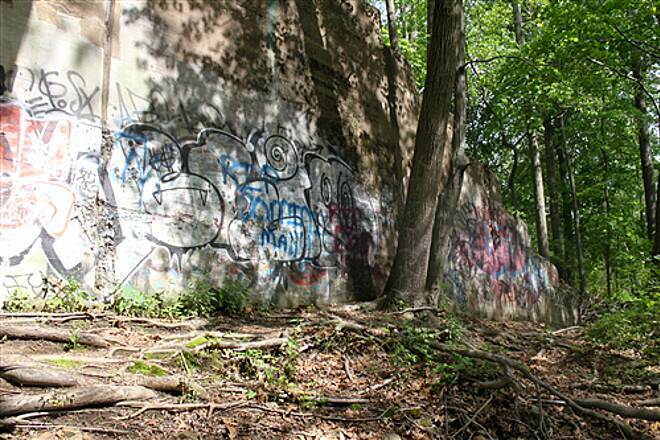 At this point, the trail follows the railroad bed northeast through the Essex County Hospital Center into Cedar Grove. The path crosses Pompton Ave. on a steel bridge. 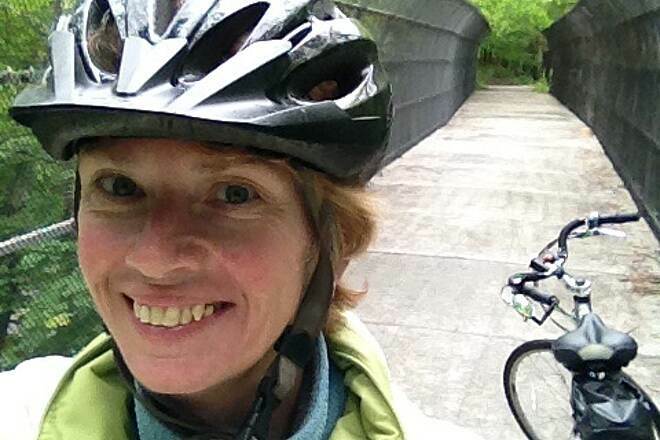 To avoid the Devil's Hole trestle, walkers and bicyclists should follow the blazes north along the river, over a pedestrian bridge and through Community Park to pick up the trail at the railroad bed. About 500 feet after crossing Bowden Rd., the trail turns right (look for the double blaze) and heads east toward Ridge Rd. After crossing Ridge Rd., the trail leads through the woods on the north end of the Newark reservoir. Now heading south, the trail crosses Normal Ave. and cuts through Mills Reservation into Montclair. It's a long walk. Luckily, there are several shorter branches for those who want to start small. After crossing Bowden Rd., the 1890 branch follows the railroad .bed (built in 1890) straight through, to Francisco Ave. in Little Falls. The 1775 branch begins at the colonial cemetery at Morgan's Farm. The path runs through the farm on to Old Orchard Ct., on to Little Falls Rd. and to the Community Pool road. 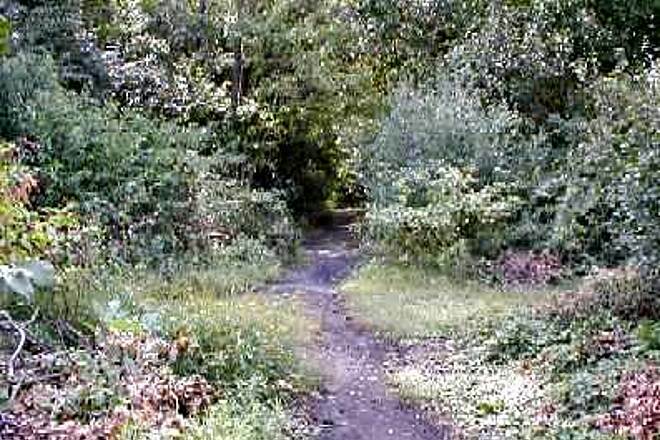 The path then joins the railroad bed beyond the pool. 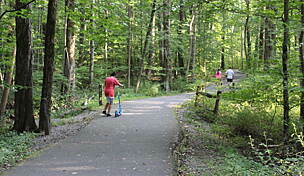 The Lenape Trail is linked to a network of New Jersey trails, including the Patriot's Path in Morris County. 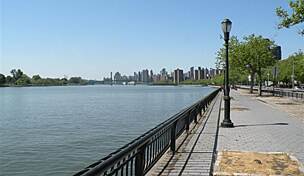 A proposed Liberty Water Gap Trail would cross the state from Liberty State Park in Jersey City to the Delaware Water Gap and would include most of the Lenape Trail. 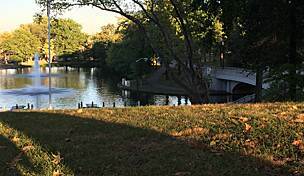 Some of the information used in this article was collected by the Cedar Grove Environmental Commission. trail needs to be worked on great bridge in the middle but it is not passable lets get going + open this trail.